I made the usual list (and going to be hated by fanbois probably for it) 🙂 But my goal is to highlight those areas which are “damaged” or step back from Windows 7. Discuss and help make it more complete. • The Lock screen is the place where you can now display custom background instead of the Logon screen, but unlike the Logon screen, there seems to be no way to programmatically change or cycle through a group of images for the Lock screen background. It must be set manually by the user from PC settings on the Start screen. • The “Unblock” button previously available on the file properties dialog for unblocking downloaded files (removing the NTFS Alternate Data Stream from the downloaded file) has been removed. • Running Internet Explorer purely in 64-bit mode is not possible unless Enhanced Protected Mode is enabled which disables all addons. Otherwise, 64-bit IE10 opens 32-bit tabs. • Search option to use natural language search has been removed. • Mouse control panel option to allow or disallow themes to change mouse pointers is removed. • Windows Update settings for showing notifications and allowing all users to install updates have been removed. Windows Update no longer notifies with a balloon notification that there are new updates available. I will now have to manually check for updates once in a while by starting Windows Update or go to the Welcome screen to see if updates are available. • MSConfig’s Startup tab has been killed and replaced by the Task Manager’s Startup tab that doesn’t have the ‘Location’ column which was useful for example to know if the process started from HKCU or HKLM reg branch. • Previous Versions for Shadow Copies is removed. The half-baked replacement is the File History feature which is only for certain file types (documents, music, videos and pictures) in Libraries, desktop and browser favorites. Previous Versions worked for any generic file type in any folder. • Explorer status bar removes the ability to show important details. It is now a private undocumented control (DirectUI) so it also doesn’t allow Explorer addons like Classic Shell to show information like free disk space, total size of items without selection, computer zone, infotip information as it could on a standard status bar control. • Chkdsk when run at startup does not display any information about file system repairs besides % complete. This screen is gone when Chkdsk runs at startup and replaced by just a dumbed down % complete. • The new Task Manager is missing many features of the old one. • The Open With dialog breaks the NoInternetOpenWith and NoFileAssociate Group Policies and browsing for a program with the redesigned Open With dialog requires three clicks instead of just one. 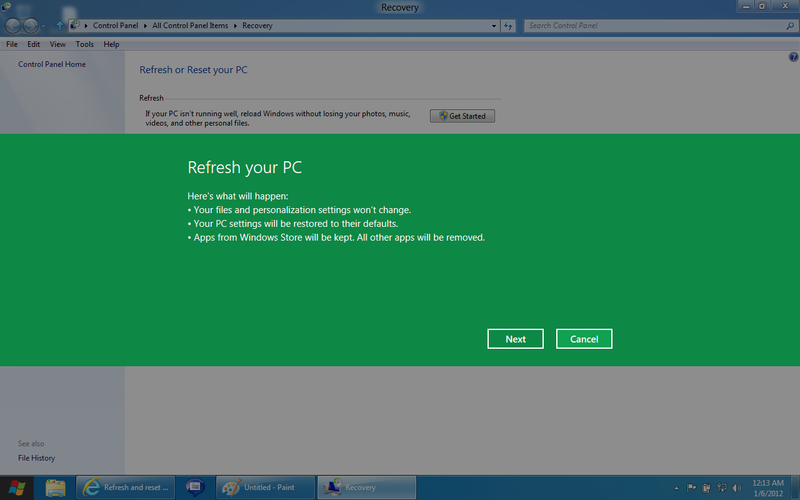 • The keyboard shortcut for Windows Mobility Center has been removed. Previously, Win+X brought it up, now it brings up the power user context menu. • Windows Gadget Platform is intact but no gadgets to download as the online Gadget Gallery was killed for Windows Vista and Windows 7 users as well. • The command line tools, DiskPart.exe, DiskRAID.exe, and the Disk Management GUI are being deprecated and replaced by the WMIv2-based Windows Storage Management API with the Storage PowerShell command line utility. 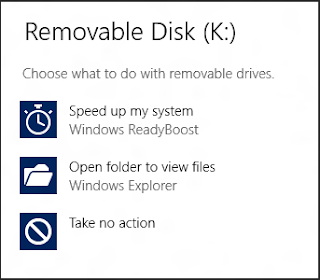 Dynamic Disks are being deprecated as part of this transition. • Reset and Refresh – a great new feature but what is this ugliness doing on the Aero desktop?